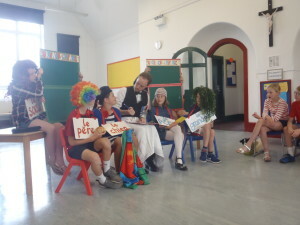 A French theatre company came into school and carried out a workshop with each class. The people running the workshop mentioned that they were particularly impressed with the behaviour of Years 5 & 6. 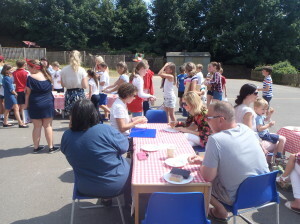 All of the children really enjoyed the day with Year 6 and the friends hosting a ‘Saint Philippe Cafe’ at the end of the day for parents. Merci to the friends for paying for this event!